Murray Street is a leader in podcasting and streaming. We've developed streaming for Jazz at Lincoln Center, and the Whitney Museum of American Art. We've produced podcast programming for International Medical News Group and PricewaterhouseCoopers. We specialize in program development, and handle all aspects of production from concept to script, recording, rights acquisition, post production and podcast or stream hosting, as needed. Working with one of America's leaders in financial services, we've produced innovative podcasts on a range of business subjects. Click above to hear excerpts about producing podcasts and the state of disaster preparedness in the United States. Or look below to see our video podcast about PricewaterhouseCoopers at the 2009 Oscars. Specialty-specific medical developments. Vital information. Breaking news. Click above to listen to independently produced high quality audio productions, based on IMNG publications, created specifically for medical specialists and the greater medical community. At home or on the go, Medical News Podcasts is medical news on your schedule. 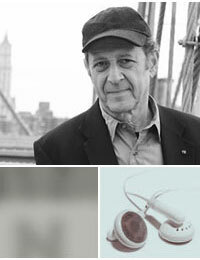 In October 2006, the Whitney museum paid tribute to Reich's career with four hours of his music. Murray Street produced the webcast, featuring some of today’s most exciting contemporary music ensembles, including Alarm Will Sound, Prism Saxophone Quartet, So Percussion, the Manhattan School of Music’s TACTUS and Ransom Wilson.The performance has it's own Whitney Museum page here. One of the pioneers of audio streaming in the public broadcasting world, we've brought the hour-long jazz program to listeners on the web since 1998. You can sample our online archive here. Older programs feature Ed Bradley as host. New programs are hosted by JALC Artistic Director Wynton Marsalis.